With a turbocharged, 241-horsepower, four-cylinder engine fueled by premium gasoline, it can move fast enough to put you in or take you out of trouble. With 273 pound-feet of torque, it can tow a trailer weighing 3, 500 pounds or take you up a hill of challenging incline. With permanent all-wheel drive, one of the world’s best all-wheel-drive systems, it can move you through snow, mud or heavy rainfalls. Please note that common sense is needed here. If a road is washed out, find safety at higher ground and stay parked there. If snowfall is too fast or deep, safely shelter in place. It is not everything, or flawless. There is something quite human about it. It slavishly hangs on to tradition — as evidenced by its huge, round, chrome dashboard-mounted air vents. More than a little bit of modernity is sacrificed for that ancient automotive jewelry. For proof, witness the interiors of modern BMW 5-series cars, or those of Lexus, Nissan, Volvo or Hyundai automobiles. Yes, even the South Koreans are moving ahead in interior ergonomics. Still, there is so much quite likable, even lovable, about the 2017 Mercedes-Benz GLC300 4Matic SUV driven for this week’s column. For one thing, it is more of a station wagon than it is an SUV. Some people might see that as a complaint. I don’t. It is common sense. The GLC300 is exceptionally comfortable, pleasing and accommodating to, say, families of five on long road trips. There are heated and ventilated front seats, leather seating surfaces, Bluetooth phone connectivity and a premium Burmester sound system, more than enough, although much of it is optional, to keep competing and often demanding personalities happy. It will get you through many kinds of messy driving conditions. But it is not designed or engineered for hard off-road driving. Don’t try to take this one over fallen logs, bulging rocks or swiftly flowing streams. 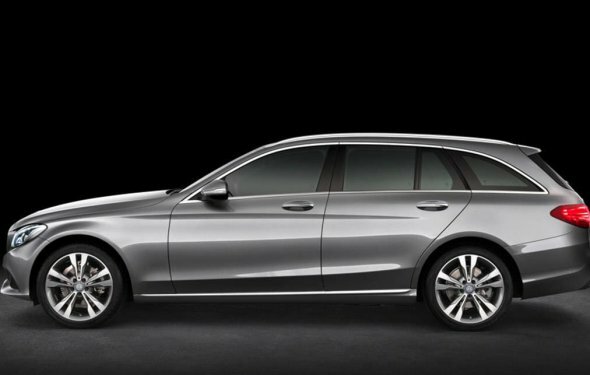 Repeat: It is more of a station wagon than anything else — a very, very good station wagon. I can easily live with the GLC300 4Matic. It is so pleasant on long, winding paved roads. Fuel economy, about 28 miles per gallon on the highway, is decent at today’s prices of about $2.83 per gallon for premium. The GLC300 is the perfect shopper. An automatic lift gate easily accepts a week’s worth of groceries. Fully equipped, with about $21, 000 in premium all-season safety tires and advanced electronic safety options, it is one of the safest vehicles on the road. One of the options includes “sport package body styling” — Mercedes-Benz textured, covered dashboard and other cosmetics. It is good for the ego but little else as far as I can see. It will cost an extra $1, 900. Is this car worth it? Yeah, considering the price of similarly equipped wagons/SUVs. The GLC300 4Matic starts at $41, 150, decent for what is offered as standard equipment.